Insu­lat­ing solid walls with exter­nal Wall Insu­la­tion (EWI) can help reduce some of the 35% of heat loss that occurs from this area of a prop­erty. EWI is a fan­tas­tic solu­tion that can insu­late older prop­er­ties and those that that don’t have post-1930s cav­ity walls. External wall insu­la­tion has a greater impact on the energy effi­ciency of a prop­erty than brand new A-rated dou­ble glaz­ing or a new con­dens­ing gas boiler. The U-value (measurement of heat loss – the lower the number the better) of a typical 220mm solid brick wall is between 1.9 to 2.2W/m²K – applying 100mm of the EWI Pro expanded polystyrene (EPS) solution with mechanical fixings, reinforcing adhesive and a silicone-silicate render should bring down the U-value of the walls to 0.27W/m²K (better than current building regulations for new builds – 0.28W/m²K). Our external wall insulation systems also provide a significant upgrade to the appearance of your property. We offer a huge range of different finishes, including different render granularity, almost limitless colours, brick slips and even pebble dash systems. 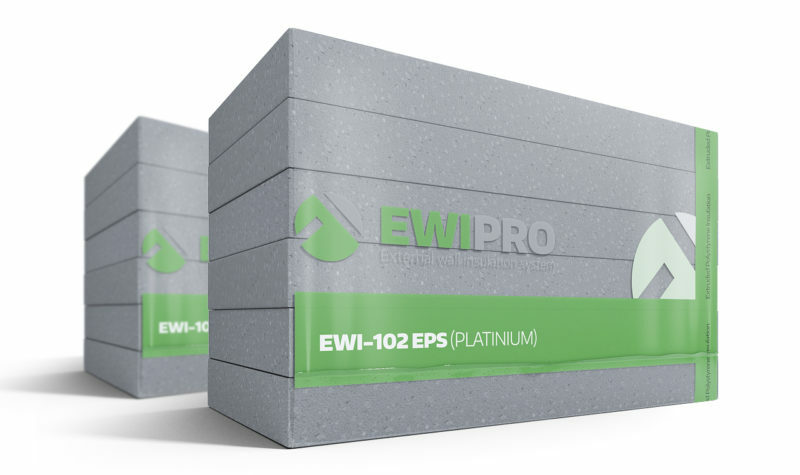 EWI is installed by apply­ing a layer of EPS to the out­side of the exposed walls of your home. The mate­r­ial is stuck to the walls ini­tially with con­crete adhe­sive and then rein­forced by mechan­i­cal fix­ings and plas­tic caps. The sys­tem is fur­ther rein­forced by a layer of adhe­sive and rein­force­ment mesh before a final ren­der (and optional layer of brick slips) is added. The sys­tem should prove to be a durable solu­tion, last­ing the test of weather and time, whilst pro­vid­ing superb insu­lat­ing per­for­mance. The install time is very depen­dent on the size of the prop­erty, but since the dif­fer­ent lay­ers take time to dry, you should expect a job to take between 1 and 2 weeks. The good news is that since all the work is exter­nal, there should be very lit­tle upheaval for those liv­ing in the prop­erty at the time. What areas does BeConstructive cover? We are pleased to announce that we now install solid external wall insu­la­tion nation­wide. Ini­tially we were focused solely on installing solid wall insu­la­tion in the Lon­don area, but demand for our ser­vices has resulted in us vastly increas­ing capac­ity, so wher­ever you are in the UK we will be able to help!